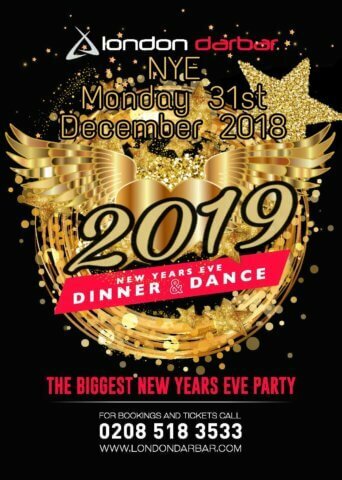 Join us for the BIGGEST New Years Eve Party and give a big CHEER for NEW YEAR. It’s time to CELEBRATE, let’s make it a night to remember with family and friends. Indulge for the final time this year, in delicious food and dance into New Year with full-on rocking music by our DJs. Say CHEERS to New Year and POP to the bar where you can buy beers, wines, spirits & champagnes. 5,4,3,2,1…. The COUNTDOWN has begun, so don’t miss all the fun and book a ticket for everyone! Celebrate the year and reminisce with family and friends while enjoying a 4-course mouth-watering BLOW-OUT meal consisting of the finest Indian & Punjabi dishes with unlimited soft drinks. We serve a variety of vegetarian and non-vegetarian dishes. NOTE: Table Offer Was For Early Bird Tickets Only, Sold Out Now.